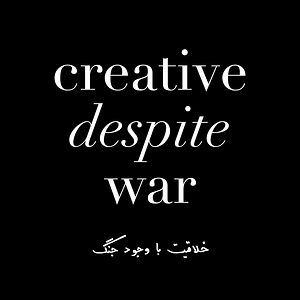 The documentary film Creative Despite War grows out of the motivation to give a voice to the exciting new artistic movement in Afghanistan. After many years of conflict, the image of Afghanistan in the world is related to terrorism, violence, and oppression, making it dificult to discover the rich tradition and the modern developments of the country and its people. The intention of this project is to establish through art, a common ground with the Afghan society, that allows the viewer to see a life beyond the conflict and that expands their perception of the country. In the light of the withdrawal of the foreign troops in 2014, the art scene becomes a field where women and men regain their means of self-expression, testing the limits of their society and developing new ideas for the future of Afghanistan. Avoiding the images that we are used to seeing on the mass media, the film creates a very natural and beautiful portrait of the city and the characters, that contrasts with the usual sensationalist and brutal images that we normally see of Afghanistan outside of the country. Creative Despite War, follows the development of their work, and the different situations they have to face, to be able to understand the context in which they live and work in, their struggle as artists in a country like Afghanistan, and finally the way they fight to achieve their dreams despite all the obstacles and difficulties imposed by their reality. We captured them in their creative spaces to discover their talent and their artistic processes. We also followed them into their more intimate spaces to see their everyday life and their interaction with their closest people. We placed them in context by following them on the streets of Kabul to see their interaction with the city and its characters, and the way it reflects into their life and their artistic work. This allowed us to dive deeper into the context of Afghanistan to see how the situation of the country affects and influences their work, showing their daily struggle and the obstacles they have to overcome in order to express themselves.